Who are the best children's authors for preschoolers and what are their best works? Find out the answer here. Let's begin our list with arguably the best children's author of all time: The venerable Dr. Seuss. 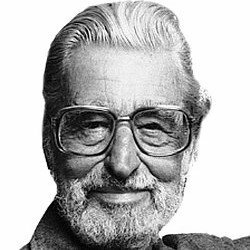 Playful, imaginative and totally whimsical, Dr. Seuss's unique writing style won him countless awards and accolades, and more importantly endeared him to generations of children and adults alike. His creative use of rhymes and made up words makes his stories such fun to read and explore. With 44 books under his name, I shall focus on the best ones for preschoolers from the ages of three to six. The legendary Cat in the Hat is a must read in most kindergarten book lists, along with Dr. Seuss's ABC: An Amazing Alphabet Book. If your kids haven't experienced his wondrous worlds yet, begin their journey with Dr. Seuss's Beginner Book Collection (with five of his best known masterpieces). Eric has been a best selling children's author for over 40 years. He is well known for crafting simple yet meaningful stories that appeals to toddlers. The illustrations in his books are colorfully exciting, and serves to capture the attention of young minds. Besides the most iconic The Very Hungry Caterpillar (complete with bug holes), I also highly recommend From Head to Toe, another popular book that will keep young children twisting, turning and stretching as they mimic the animals in the story. 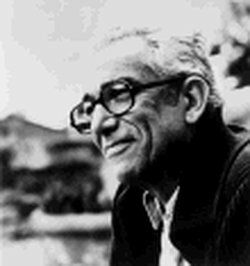 Unlike most children's authors, Leo presents his tales in a calm, surreal fashion. His stories often deal with issues that confound young children, such as discovering their individuality in A Color of His Own. This helps preschoolers in thinking deeper and figuring out life's answers on their own. 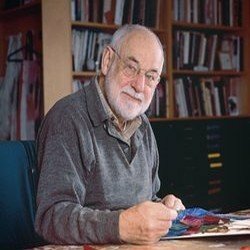 More than just a master story teller for young children, Leo is equally well known for being an accomplished illustrator, filling his books with beautiful illustrations. His most famous and timeless works include Swimmy and Frederick. 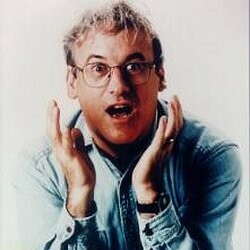 Robert Munsch has to be one of the best children's authors for preschoolers. A personal favorite of mine, he is simply hilarious! His wildly imaginative stories and unique brand of humor are sure to bring you and your children hours of laughter and fascination. The Paper Bag Princess flips traditional fairy tales around by having the princess rescue her prince from a nasty dragon. Love You Forever is about a mother who won't quit singing her son to sleep... well into his adulthood. While it's sure to evoke a few good laughs, this beautiful story celebrating a mother's endless love for her children will touch your heart as well. If you're new to this quirky writer, I highly recommend The Munschworks Grand Treasury, which contains 15 of his most popular stories.